Manufactured frame from 40mm angle with a 6mm plastic box. Internal dimension of each component slot: 200mm (L) x 45mm (W). Assembled with 160mm rubber castors (2 off fixed, 2 off swivel with brake). Approx. 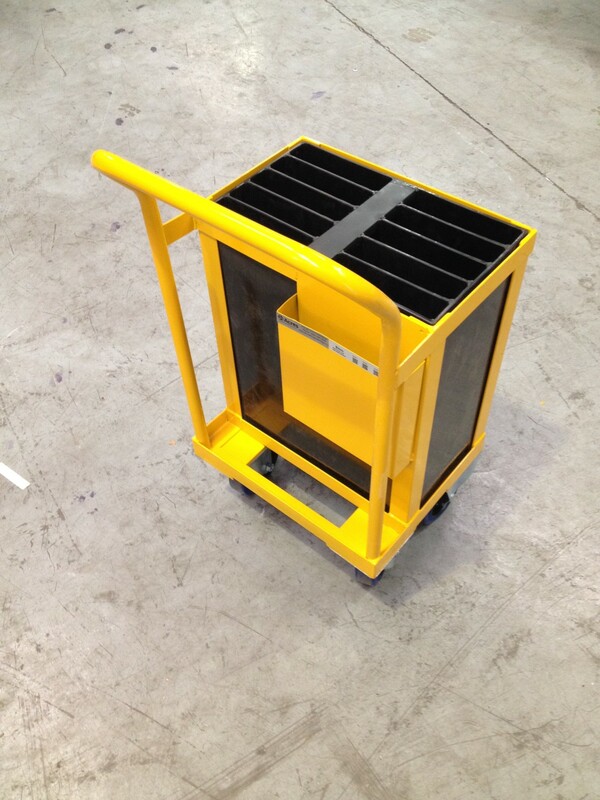 size of trolley: 451mm (L) x 451mm (W) x 500mm (H) including handle 1m (H). Each component slot has an identification label stuck onto the central support flat: Each component slot has an identification label stuck onto the box.